So subtle. So feminine. So Shabby Chic. 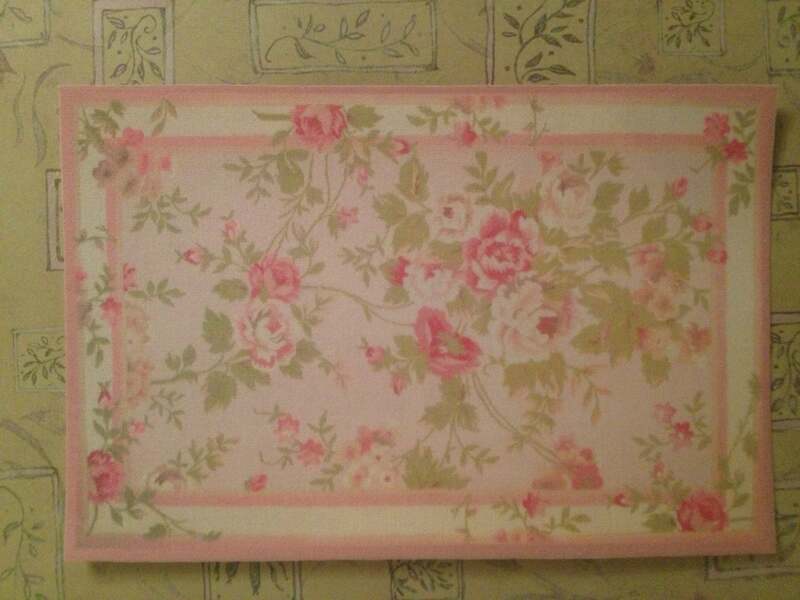 The soft pink and green floral sets the tone and complements your decorating at the same time. Pretty . . . charming . . . I LOVE this rug.